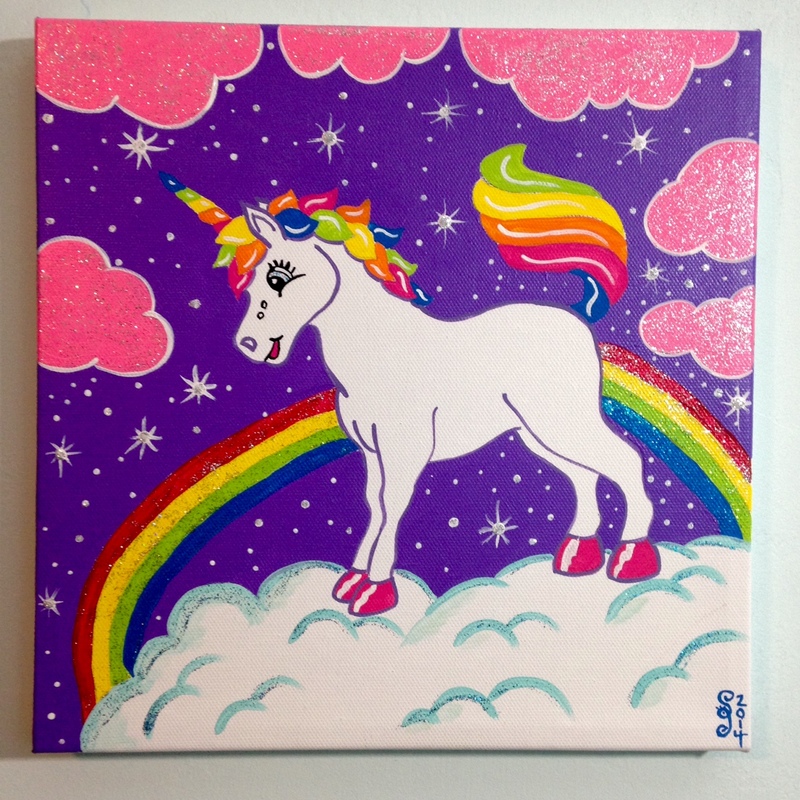 Day 123- Lisa Frank- Unicorns, Rainbows, Puppies and Kittens…Oh My! It’s Day 123…1-2-3! 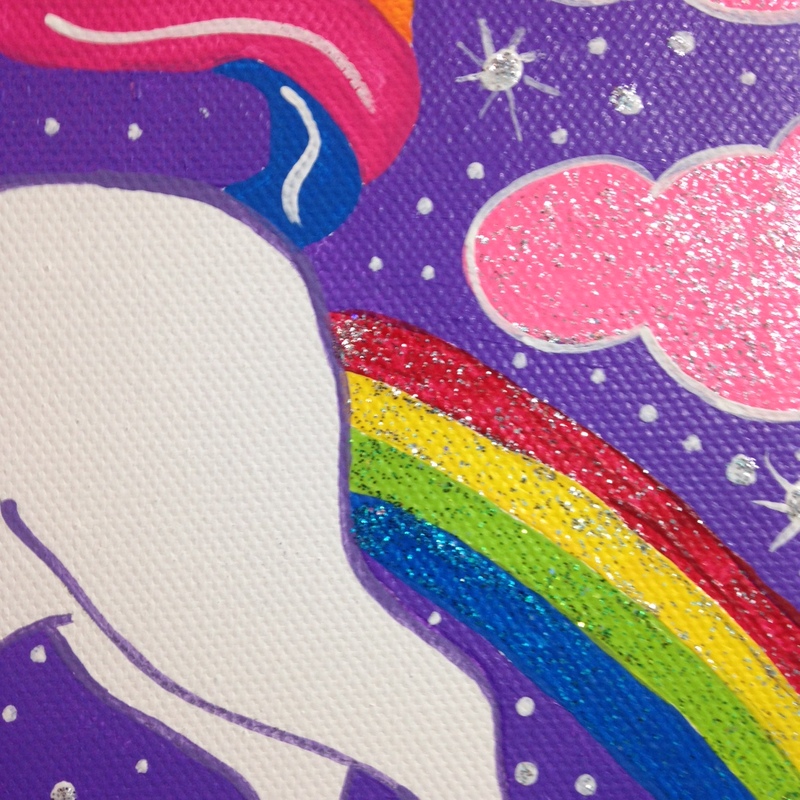 And I thought I was going to be super pumped in painting a unicorn with glitter and everything in tribute to Lisa Frank today. It was HARD! Today’s painting was very difficult to emulate. It would’ve been infinitely easier if I was able to do it on a computer, but since I was painting with acrylics and glitter…well, it was difficult, but I did it! 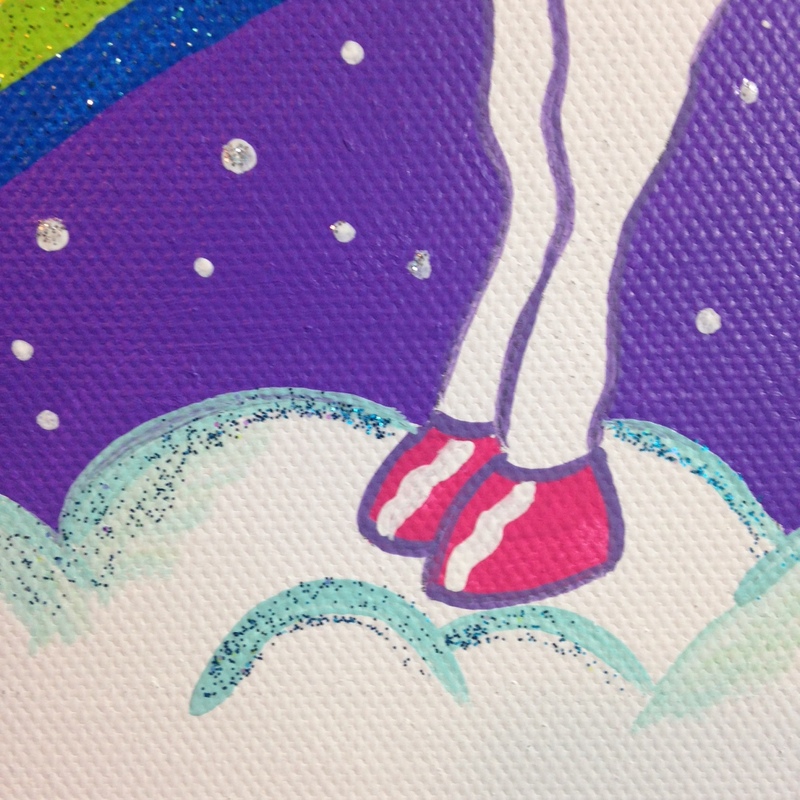 I wanted to pay tribute to the lady who I admired as a child…who didn’t love unicorns and puppies and pandas in overalls surrounded by rainbows and ice cream and stars?! 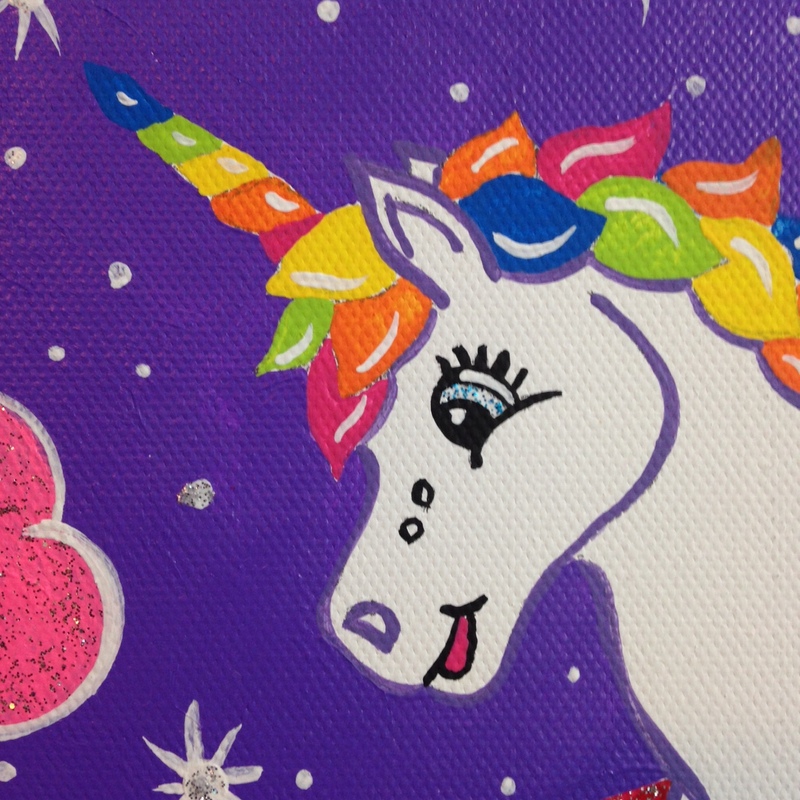 Let’s celebrate Lisa Frank today! Lisa Deborah Frank (born 1955) is an American businesswoman, the founder of Lisa Frank Incorporated, headquartered in Tucson, Arizona. She is known for producing the colorful images that appear on school supplies and other products that are primarily marketed to young girls. the age of 24, and continues to lead it today. 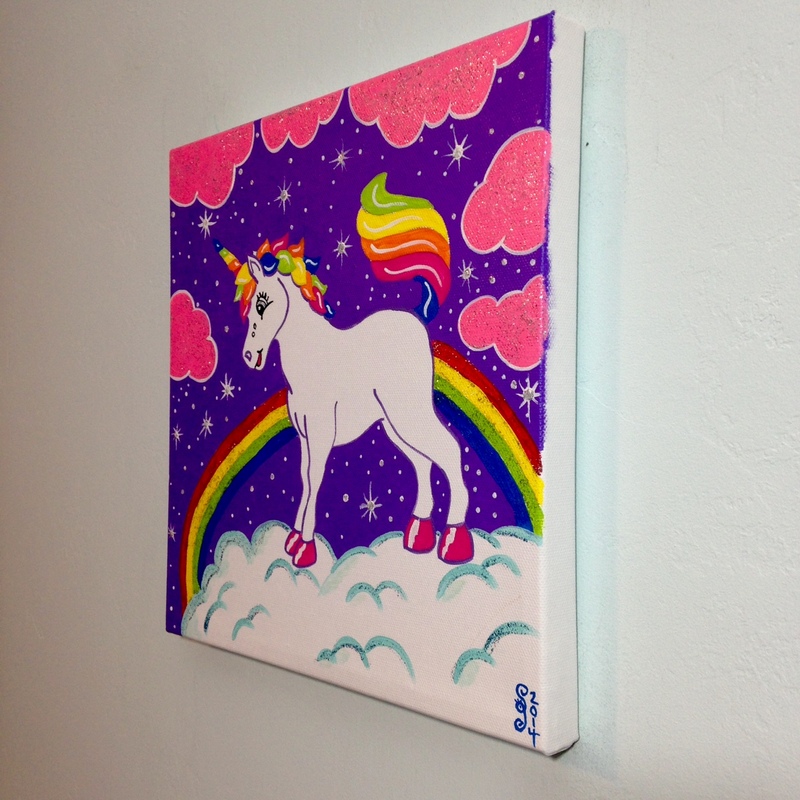 Her corporation’s artwork features extremely bright rainbow and neon colors and stylized depictions of animals, including dolphins, pandas, and unicorns. In the 1980s and 1990s, her products – including school supplies such as lunchboxes and Trapper Keepers, as well as toys and stickers – were extremely popular among middle school-aged girls. The company’s headquarters is in Tucson, Arizona, and is easily visible because of the bright hearts, stars, and music notes decorating the side of the building. Frank is an alumna of the Kingswood School (today: Cranbrook Kingswood School), a preparatory school in Bloomfield Hills, Michigan. In 2005 Lisa Frank divorced James Green, the CEO and co-share holder of Lisa Frank Incorporated. The court agreed to assign control of the company to Lisa Frank. Above bio is from wikipedia below is also from wikipedia, but from the Lisa Frank Incorporated page. attended the University of Arizona to study art. She chose this field of study because art had been a large part of her life since childhood. She was influenced by her father who was an art collector. While attending university, at the age of twenty, she created a line of jewelry, branded as Sticky Fingers. The line specialized in colorful fruit and novelty character pendants, utilizing characters in their designs such as Betty Boop. It was sold in outlets like Bloomingdales. It was from this jewelry line that Frank was inspired to create her first set of colorful stickers, the same stickers that launched her brand. 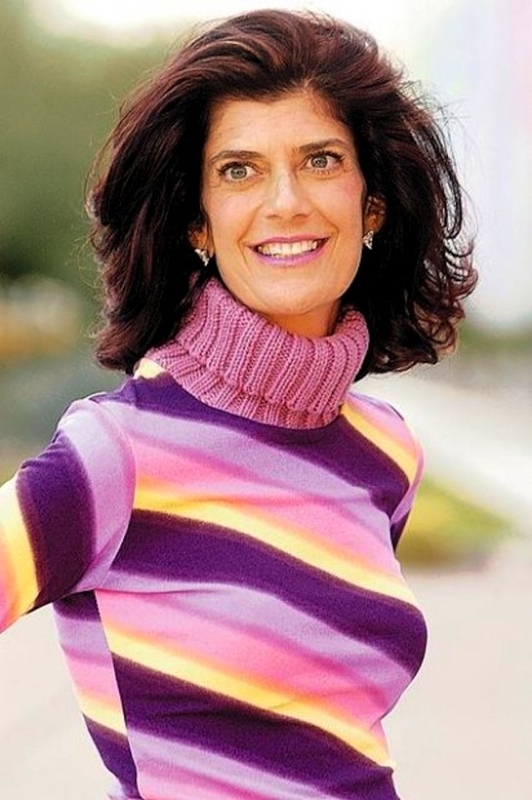 She started Lisa Frank Incorporated in 1979, at the age of twenty-four. 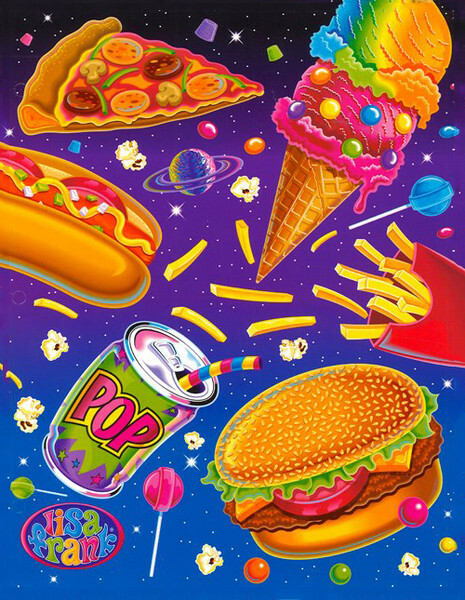 Originally, the company only produced stickers, featuring Lisa Frank original characters and designs. 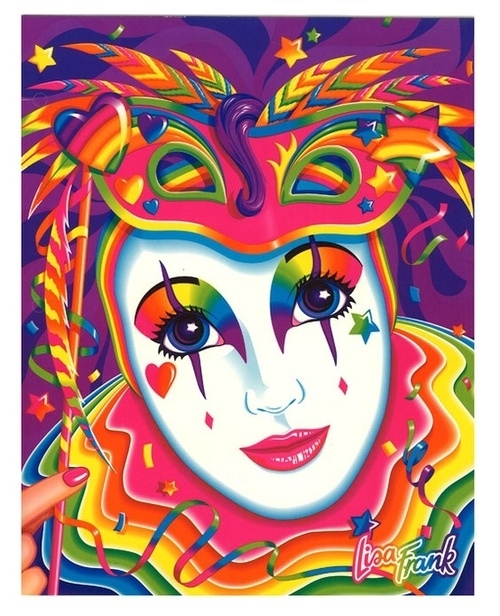 All Lisa Frank designs up until 1989 were colored with an airbrush painting technique, the process taking anywhere from nine to thirty-six hours to complete. 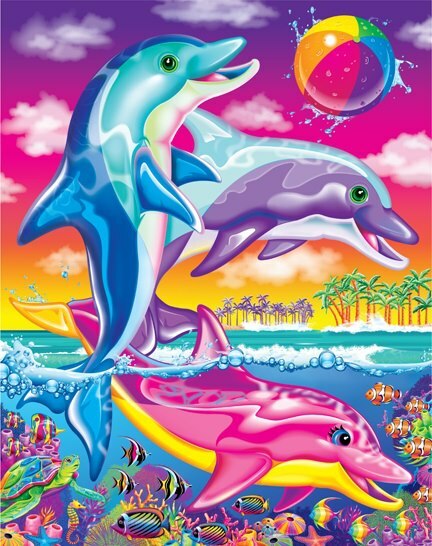 According to a 1983 interview with Lisa Frank, all of the company’s stickers began with an idea concept, moved into a pencil sketch, and then were painted into an 18×24” painting before they could be approved for production. An individual sticker took, on average, a minimum of three months to fully conceptualize and produce. school supplies with original Lisa Frank designs on them. 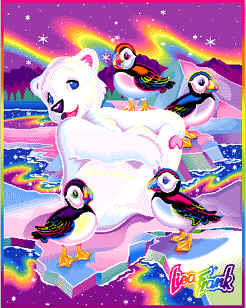 These designs featured “classic” Lisa Frank characters such as Panda Painter. 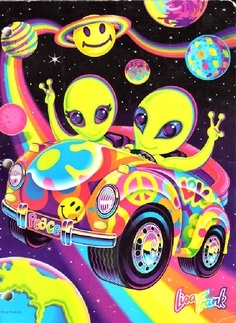 Lisa Frank has stated that these original characters continue to be the company’s most popular, despite several new additions over the years to the Lisa Frank character collection. 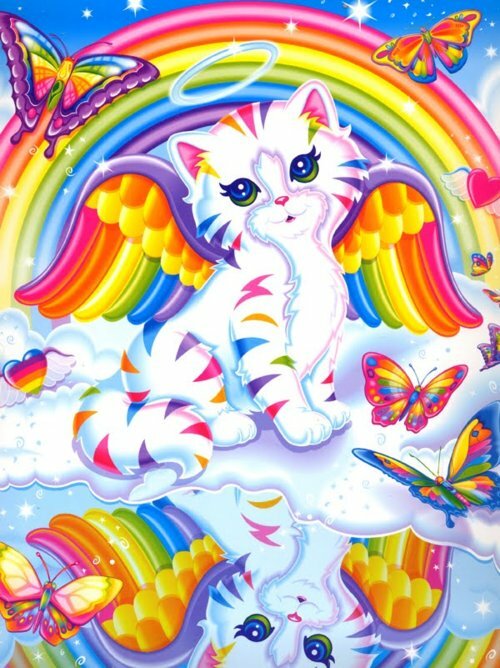 Lisa Frank’s original commercial slogan, “You Gotta Have It,” emerged during this time in the late 1980s. In 1989, the company stopped producing their original artwork designs using the airbrushing technique, switching to computers for their animations. The technological age not only changed the way that the company produced their products, it has also has had an effect on the products that they sell. According to Frank, current designs feature more complicated and intricate patterns due to the developed technology and the variety of products that the company creates today as compared to Lisa Frank Inc.’s starting years. 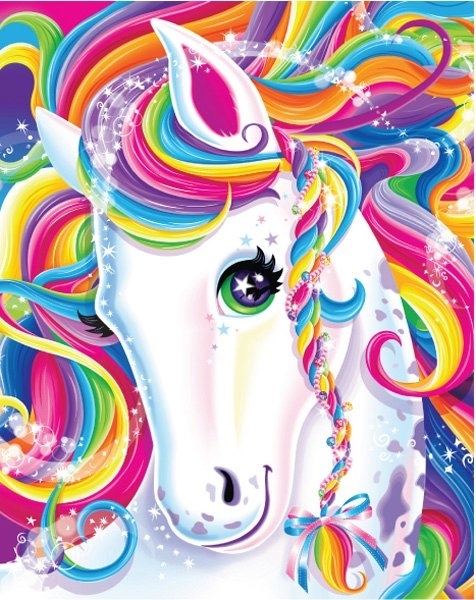 In the 1980s and 90s, stationery was one of Lisa Frank Inc.’s biggest sellers. Today, the company produces very little stationery, due to the rise in popularity of email. Lisa Frank Incorporated has developed two apps for the iPhone: one customizes pictures with Lisa Frank clip art, while the other is a coloring app for Lisa Frank coloring pages. Frank Inc. at that time. The two were the company’s only stockholders at the time of their separation. Frank won a court settlement that same year, stating that Green must sell all of his shares in the stock to her at a discounted price, dictated by a 1995 buy-sell agreement. This resulted in Frank resuming control as CEO of the company. During the court trial, it was revealed that Lisa Frank Inc. had grossed over $1 billion in sales since the company began in 1979. As of 2012, the Lisa Frank Inc. headquarters are located in Tucson, Arizona, encompassing 320,000 square feet of space. 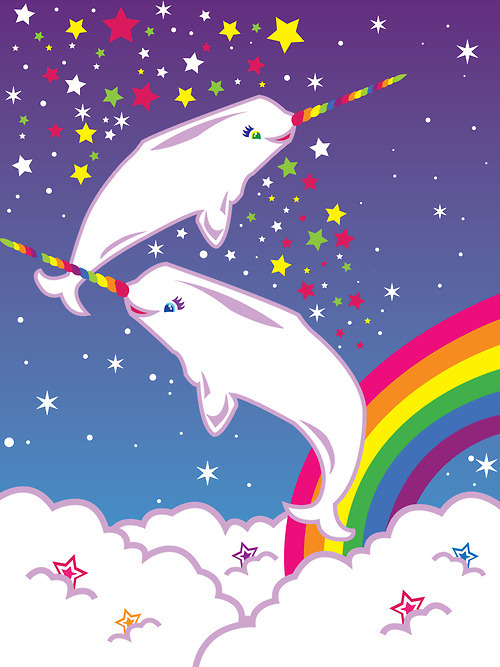 In 2012, Urban Outfitters began selling Lisa Frank vintage merchandise, such as 1990s stickers and trappers keepers, on the Urban Outfitters website.